Polypropylene, which is the loop-style pile. Polyester, which is created from recyclables. 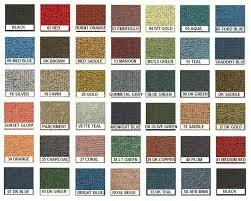 Nylon, (which is the most durable & popular). The most popular fiber style today is wool. Wool is a traditional carpet fiber, but it is very expensive, which is why it isn’t used as often as the other options. Cut pile carpet can go throughout the house. It is comfortable underfoot and m akes for a very attractive floor. Loop pile styles are used in heavy traffic areas, such as where children play. This style carpet lasts for a very long time. Olefin is a product that is naturally stain resistant; if it does stain, it is exceptionally simple to clean. Polyester is naturally stain resistant because it doesn’t accept those kinds of dyes either. 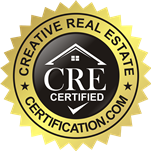 It is a critical product in applications where staining will be an issue. Nylon is treated for stain resistance; there is an over treatment that you put in that will allow you to take stains out. Wool takes more care and cleaning to get stains out. 1. What type of room will the carpet be used in? 2. What do you expect of carpeting for this space? 3. How do you want the carpet to feel underfoot? 4. What’s your carpeting budget? 5. How much effort do you want to put into maintaining it? 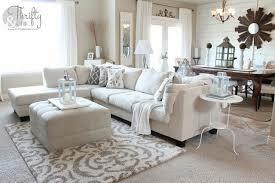 Berber carpeting is made of continuous loops of fiber, and is a popular choice. It is available in nylon, wool and polypropylene. Olefin or polypropylene Berber is extremely stain-resistant. Its high density, determined by the number of stitches per inch, makes it a durable choice, especially good for commercial settings. 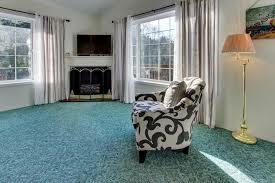 A trackless carpet is a good option for almost any room in the house. Its textured, crimped fibers are cut to different heights and reflect light in such a way that tracks don’t show, making it a particularly good choice for high-traffic areas. Luxurious plush carpet has its drawbacks. Because this type of carpet is so thick and plush, footprints and vacuum tracks are always visible. 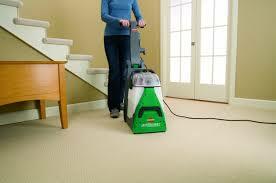 It’s best for use in low-traffic areas such as formal living rooms and master bedrooms. When selecting a carpet style and fiber, realize that the cost of the carpeting doesn’t necessarily reflect the quality of it; just because it is expensive does not necessarily mean that it is better. 2 Comments on "Selecting The Right Carpet For Your Home Just Got More Difficult: A Look Into the Many Options"
I would never have carpet on the first floor of my home. I have to say, carpet on the second floor is nice. It can also get dirty and stained, but its less likely if it is on the second floor. However, if you live in a hot climate, having carpet in the bedroom could also make you very hot. Carpet takes so much effort. I don’t know if I could do it. And, even if I did, it would be very expensive, because I would not want cheap carpet in my house, I’d want the highest grade. Nothing worse than scratchy, itchy carpet underneath your feet.